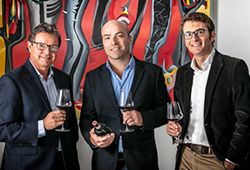 Cape Town – the place to visit for scenic wonders, an unbeatable lifestyle, ‘the most exciting new wave wines’ according to international wine personality Jancis Robinson and now, the best restaurant on the planet, Wolfgat. 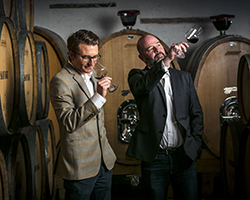 James and Roland are fortunate enough to taste around 5,000 local and international wines each year and this has allowed them to refine their palates through ample years of experience. Wine and food go almost ‘hand-in-hand’ so we’ve compiled a list of Cape Town restaurants, with wine lists to match, which have recently impressed us. 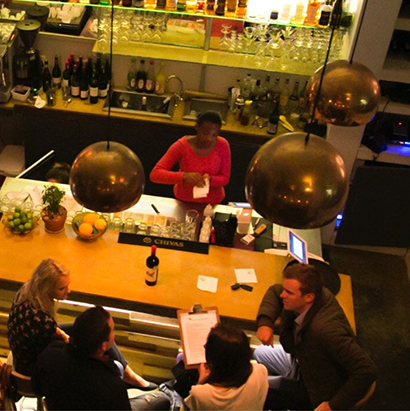 From expert wine lists at fine dining establishments by master sommeliers to quirky finds by wine geeks at casual eateries, take your pick of Cape Town’s finest. 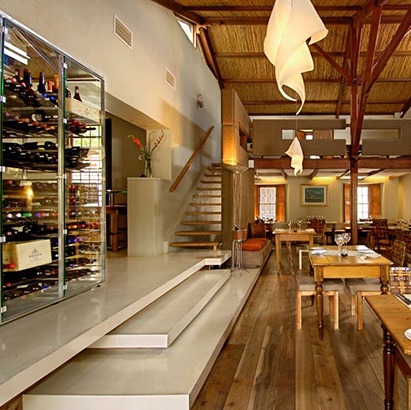 We highly recommend Aubergine as our inner-city restaurant of choice when it comes to the best food and wine pairing in the Mother City. This refined gourmet destination offers an extended and complete wine list of local and international wines, chosen to enhance Chef Harald Bresselschmidt’s creations. Luke Dale-Roberts does it again at this scenic Cape Town institution. 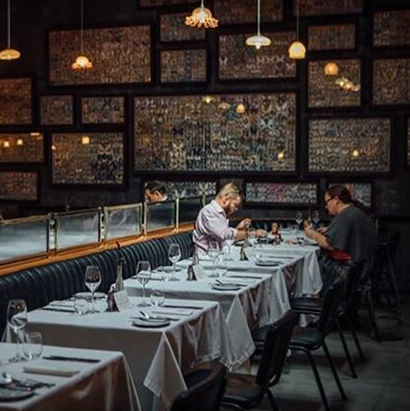 We have earmarked this Grande Dame of dining for its wine list which includes an excellent additional older-vintage South African selection. We speak the same language as Simon Widdison of The Shortmarket Club! Like us, he’s a seasoned wine geek, so be sure to engage with Simon around your selection when you next visit this Cape Town gem. The team includes Luke Dale-Roberts, his wife, Sandalene Dale-Roberts, top chef Wesley Randles and manager Simon. It’s located in a heritage building just off vibey Bree Street and is accessed by an incognito entrance off the street for added intrigue. 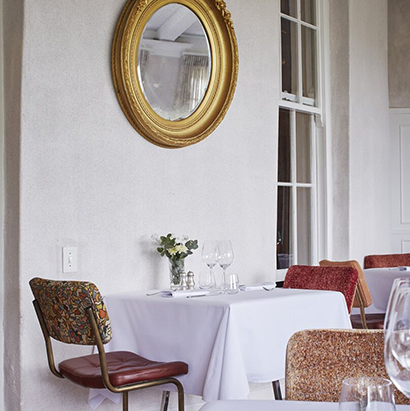 Another of our firm favourites is this classic Bree Street bistro. With the focus on nose-to-tail cooking, they offer a light, menu-appropriate wine list. 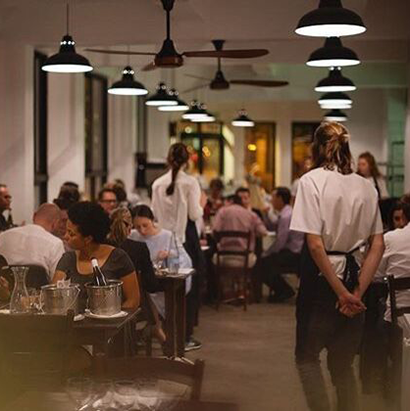 La Tête is a farm-to-fork eatery on Bree Street in Cape Town, the result of the culinary dream of two brothers, Giles and James Edwards. 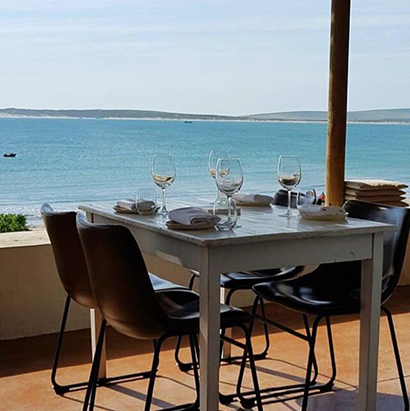 This small 20-seater restaurant in the fishing town of Paternoster was named ‘Restaurant of the Year’ at the very first ‘Best Restaurants Awards’ in Paris earlier this year. 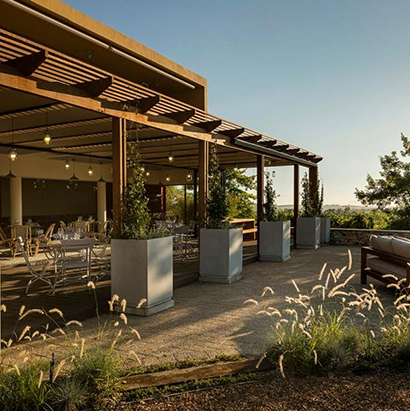 We are huge fans of this humble seaside restaurant and its considered wine list, sharing Chef Kobus van der Merwe’s passion for highlighting local and boutique wine producers. The food and wine pairing is simply a must. The wine list highlights producers from nearby wine regions. The restaurant’s humble chef, Kobus van der Merwe, is a champion of SA’s indigenous ingredients, many of which he forages himself from sand and rocks along the coastline. The wines he selects perfectly enhance each of the seven foraged courses. 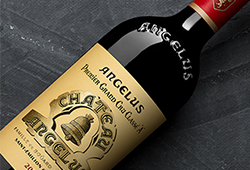 Chef Christophe Dehosse cooks up classical, wine-friendly food that will enhance your wine experience. The wine list is balanced and includes some great international options. Drawing inspiration from traditional, convivial French kitchens, the small menu changes regularly, featuring organic, grass-fed and free-range products where possible. 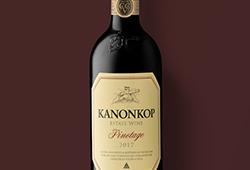 ← Kanonkop 2017 – Better than 2015?